Sikkim is the land of mountains, hills, valleys, national parks and rivers. So, it is natural for this beautiful state to nurture some of the most beautiful hill stations in India too. Even though Sikkim is famous amongst tourists for its mesmerising hill stations, flourishing with the best of natural beauties in the form of luxuriant greenery and rivers, there are still numerous hill settlements which have not been explored yet. So, how about discovering the charm of such places this season? If you are one amongst those who are looking for summer destinations away from the crowds and conventional places, then these beautiful yet unexplored hill stations in Sikkim are your stoppages now. Get yourself here and do nothing but savour its heavenly presence amid sky-high mountains and thriving plains. Located between the popular hill stations of Gangtok and Pelling at an elevation of 7000 feet. 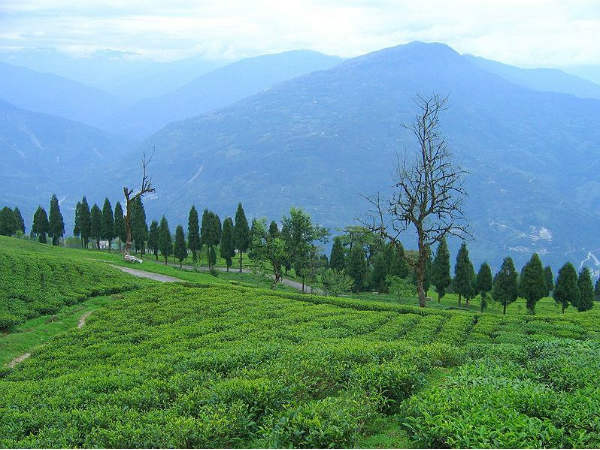 Ravangla is a beautiful hill station which is popular for its Temi Tea Garden and enthralling surroundings. The presence of snow-capped mountains and the panoramic views of the valleys and lush green surroundings makes this hill station a must-visit place in Sikkim. Apart from roaming around the aisles of nature, you can also visit several other famous monuments, such as Ralang Monastery, in Ravangla. The upper part of the hill station gets covered with colourful flowers during the summer season. Being home to thriving vegetation, it also attracts a lot of Himalayan birds and hence, is also a destination for several birdwatchers and photographers. Phodong is another enchanting beauty of Sikkim which is nestled peacefully in the North Sikkim district at a distance of around 40 km from Gangtok. Being easily accessible by road, it is visited by several local tourists during the summer season who come here to spend a few days amid fresh air and a spellbinding atmosphere. Phodong is famous for its beautiful monasteries, such as Phodong Monastery and Labrang Monastery, which have certainly contributed to the increment in tourism in the region. With appealing terrains, Phodong is a perfect place in Sikkim if you are looking forward to walking through the lanes of pleasing nature. Namchi is located in the South Sikkim district at a distance of around 80 km from Gangtok. It is popular amongst tourists as a famous Buddhist pilgrimage centre surrounded by deep valleys and towering hills. If you are one amongst those history lovers who also love exploring the corners of nature, then Namchi is your calling this summer. Being a perfect blend of history and nature, it attracts each and every type of traveller. The major places to visit in and around Namchi include Namchi Monastery, a 87-feet statue of Lord Shiva, Temi Tea Garden, Ralang Monastery and Tendong Hill. As it is properly connected to Gangtok by road, it is easily accessible. Located at the confluence of Lachung and Lachen rivers at an elevation of 9600 feet, Lachung is a beautiful town in the North Sikkim district and is known for its ancient culture and traditions. If you are looking to experience the beauty of a country life, then you can visit Lachung and feel the liveliness of its surroundings and people living here. Located at a distance of about 100 km from Gangtok, it is easily approachable by road. The major things which make Lachung a must-visit hill station in Sikkim are its monastery, rivers, surrounding mountains and unpolluted environment. Wouldn't you love to be at a place which can bring in you the ultimate happiness in you through its wondrous beauties? The 19th-century Lachung Monastery is the most visited place here and has been attracting several local tourists for decades. So, what do you think of such a striking beauty? Yuksom is another magnificent beauty in Sikkim which is surrounded by snow-clad mountains and covered with lush vegetation. Even though it is a famous historical town, being the first capital of Sikkim formed by the first Chogyal, Yuksom is visited mostly by nature lovers and adventure seekers, who come here to enjoy in its pristine environment and test their endurance atop its hills. There are innumerable places of interest in Yuksom, ranging from lakes to monasteries and viewpoints to restaurants, which include Dubdi Monastery, Rabdentse Ruins, Khecheopalri Lake and Norbugang Chorten. So, how about adding Yuksom to your bucket list now?